Bag is made with high quality anti scratch nylon fabric. 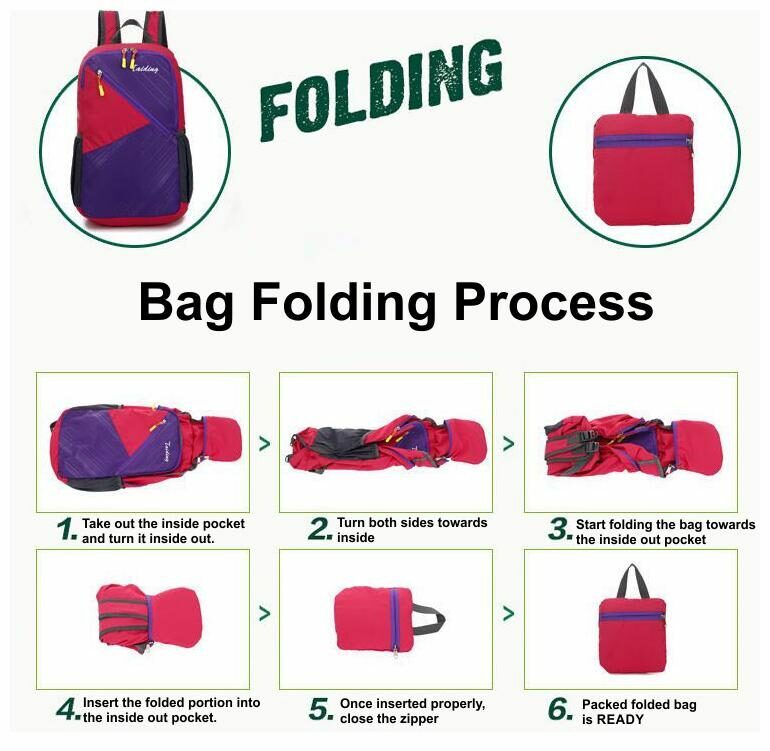 It has a strong hanging system to carry more items for you. It provides extra strength and long-lasting performance with the lightest weight possible. COMFORTABLE: Breathable mesh shoulder straps with less sponge padding help relieve the stress from your shoulder. ADJUSTABLE: The length of the shoulder straps is adjustable. You can adjust the tightness as per your convenience. Best suited for female and male of any age group. HIGH-CAPACITY: Main compartment comes with small zipped pouch inside and a stylish zipped front pocket. Mesh side pockets gives you the convenience of putting your water bottle. Enough to hold cooking accessories;snacks;clothes;mobile accessories;wallet;tabletetc. Best suited for picnic;college;gym etc. WATER-RESISTANT: Waterproof nylon material can quickly slide the water aside before water has a chance to penetrate. Ideal for most sports like Climbing;Camping;Hiking;Travelling;Gym;Swimming;Cycling etc.